This right here, would make most Porsche enthusiasts cringe. 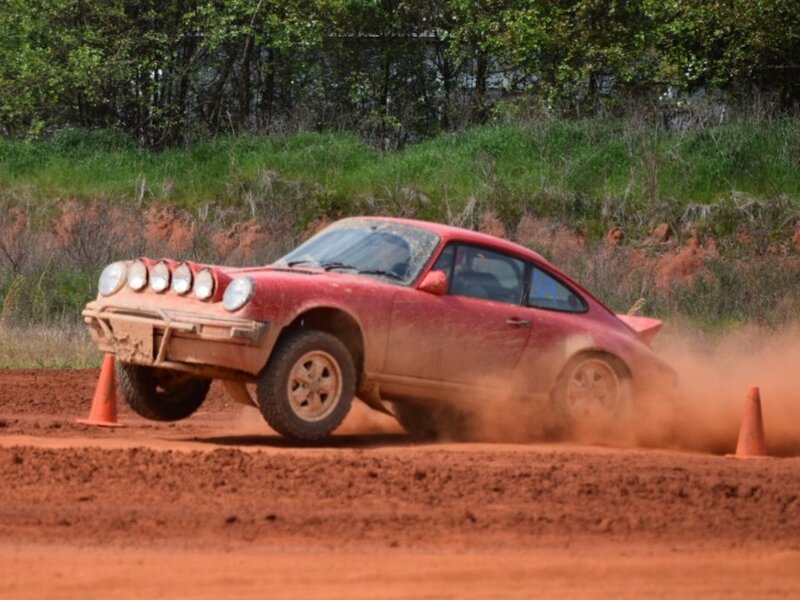 That is a 1981 Porsche 911 SC… tearing through the mud. Here’s why one company turns luxury Porsches into heavy-duty off-roaders. The Porsche 911 is one of the most iconic luxury sports cars in history, especially when it comes to motorsports.However, Leh Keen, a professional race car driver and Porsche expert, prefers driving 911s off the racetrack… and actually, off the pavement altogether. Keen has become well-known for turning Porsche 911s into heavy-duty off-road vehicles… and giving them a beating. His company, The Keen Project, builds ‘Safari 911s that are capable of tackling every kind of terrain. Leh Keen: There’s a lot of different ways to build a car. You have rally cars, road race cars, drag cars. Safari is kind of another step past ruggedness from a rally car. A Safari 911 is obviously lifted up in the air, has meatier tires than a rally car would. More lights, maybe bumper bars in case you hit something. The Porsche 911 is the perfect platform to do this with. Everyone knows how Porsches are built. They’re built strong and durable. When you’re out in the desert or the woods you need a car that’s reliable. The first 911 put into competition was actually rallied, not road raced which most people think. The Safari cars from Porsche were very successful. Not everyone was initially a fan of Keen’s plan to turn such a prestigious car into a mud-flinging off-roader. Leh Keen: I told some people what I was gonna do and they basically said, “No, you can’t. You can’t do that. You can’t lift a Porsche 911 and take it in the mud, get it dirty, put off-road tires on it.” I said, “Porsche did this all through the ’70s and early ’80s. They did it, so why can’t I do it now?” So I built the car and those same people after seeing it and riding in it kind of changed their minds and said, “Okay. Actually, this is pretty cool. One of the most difficult parts is acquiring a donor car. We like a black-on-black 1980s 911. They’re tough to find. Part of my job is helping the customer to source them. Leh Keen: So for the exterior, the car will get stripped down, sanded down, all the windows pulled out. Put new windshields in, new taillight lenses. We basically go through and get it looking really sharp. Then we add all the Safari stuff so the mud flaps, the bumper bars, the light pod, everything we add on top. The car will get whatever flavor of Porsche color you want. That’s what I really love is the great colors. Porsche has used over the years, and we want to use that. We really want the car to pop. For the interiors, Porsche made all this crazy fabric material in the ’70s and ’80s and I try to use it as much as possible so you’ll see some really funky stuff. And why not? You’re lifting a Porsche 911, you’re putting off-road tires on it, you’re going to take it in the mud and you’re going to go out in the woods get it dirty. You might as well give it some personality. On the mechanic side, all the major suspension components get replaced. We pretty much touch every part, but we also keep it very simple, kind of as Porsche imagined it. Leh Keen: I’m also driving the car through the whole building process. So I can really feel the car evolve. So if I feel something that’s not quite right, we can fix it before it goes to the customer so that when they get it all they need to do is turn it on and go have fun. For those interested in their own Safari Porsche, be aware these babies don’t come cheap. Leh Keen: So total budget for the customer should be about $120,000. That includes the donor car, the Safari treatment, and my management fee in the end of it. I like to call it the “Do it All 911” because you really can do whatever you want with these cars. They’re rugged, they’re tough, and they can handle it, whether it’s a metropolis city or in the middle of nowhere in the mountains or the desert.